There is so much to see and do at Club MAC Alcudia at any time of the year – but July really is something special. This month is when the people of Alcudia come together to celebrate the festival of Sant Jaume, the patron saint of Spain. There are a whole host of celebrations taking place throughout the month and it really is party time – a chance for everyone to relax and enjoy themselves for a few days in our historic town. The focus of the celebrations is nine days in July, when the town runs a packed schedule of events to mark the festival. This really is the time to come to Alcudia – you’ll find something for everyone going on, with concerts, sports competitions, open-air dances, exhibitions and religious ceremonies. Club MAC Alcudia makes the perfect base for you and your family to explore the celebrations, which will give you a real taste of the traditions and rich Majorcan heritage of our beautiful home. 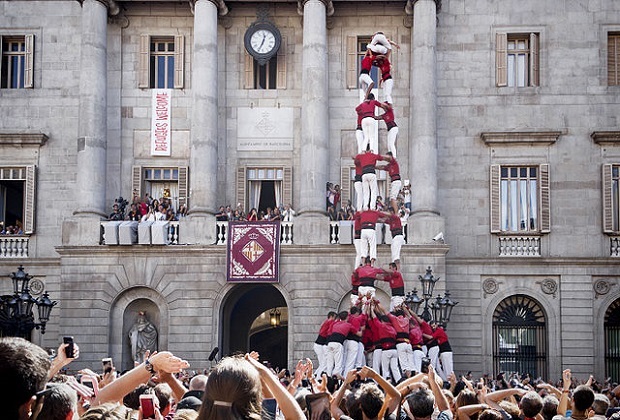 The celebrations to honour Sant Jaume have been a part of Majorca’s cultural heritage for centuries, and taking part will offer a memorable insight into island life. If you love dancing, then you’ve come to the right place. You’ll find everything from ball room dancing to line dancing events, as well as an unmissable display of traditional Majorcan dances in Carles V Square. It is also fascinating to see how the people of the town embrace the celebrations, with every street choosing a theme and decorating their homes accordingly. The ‘Night of the Romans’ is another event that you really can’t afford to miss – those of you heading out on the town that evening stand a good chance of running to many of the locals dressed in traditional Roman costumes! No one celebrates the festival of Sant Jaume quite like the people of Alcudia – to find out more and discover how we can help you to make the most of the nine days of events, take a look at our website.